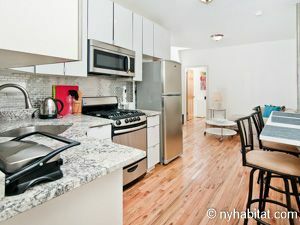 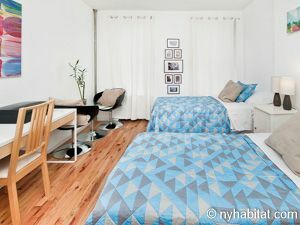 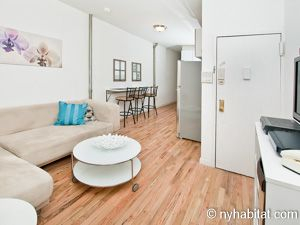 Find your home away from home in vibrant East Harlem! 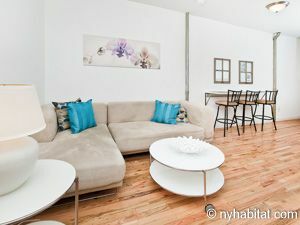 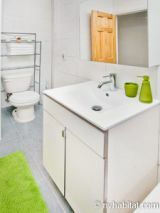 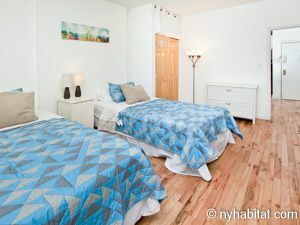 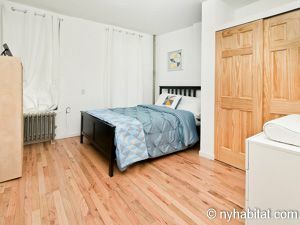 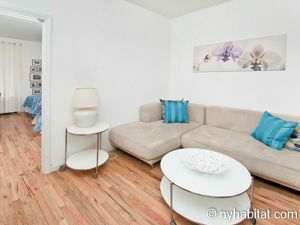 This two-bedroom, furnished apartment is located at 120th street and Pleasant Avenue, on the fourth floor (3rd for Europeans) of a low-rise, walk-up building. 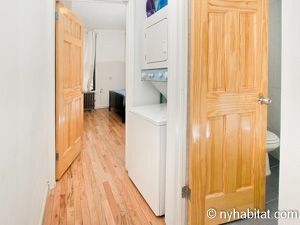 The apartment has in-unit laundry (washer/dryer) and an intercom security system. 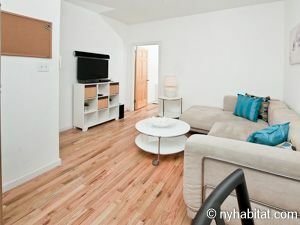 Thanks to the white walls and hardwood flooring throughout this apartment, it has a clean, contemporary feeling. 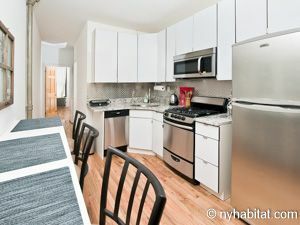 The stylish kitchen features stainless steel appliances and a metallic subway tile backsplash. 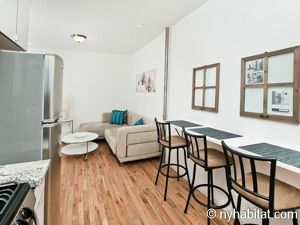 When you’ve finished preparing your food (maybe with ingredients you found at East Harlem’s market, La Marqueta), sit on the kitchen barstools, or in the comfortable living room that flows off of the kitchen. 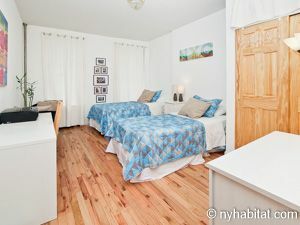 Both bedrooms offer double-door closets for plenty of storage; bedroom 1 has one full bed while bedroom 2 has two full beds and a desk. The bathroom features a stone tile accent wall in the shower, stone tile flooring, and chrome fixtures.